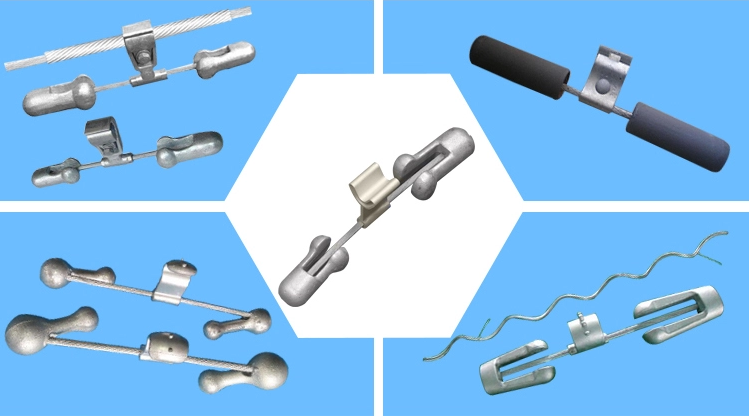 Product categories of Damper, we are specialized manufacturers from China, Vibration Damper, Fr Vibration Dampers suppliers/factory, wholesale high-quality products of Fd Vibration Damper R & D and manufacturing, we have the perfect after-sales service and technical support. Look forward to your cooperation! 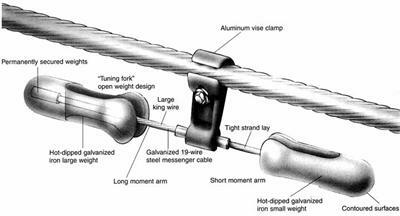 When cable suffers form aeolian vibration, the hammerhead of the Vibration Damper hanging on the cable may vibrate freely along with the movement of cable to make the steel stranded wires on anti- vibration Damper rub each other, convert the vibration energy passed on to the anti- vibration damper to friction heat among steel standed wires and consume such heat energy, thereby effectively supperessing the aeolian vibration of cable and prolongthe life of cable.